These five double-ended tools offer a total of ten different shapes for sculpting. Ideal for contouring and removing controlled amounts of clay, wax, polymer clay or other modeling material. 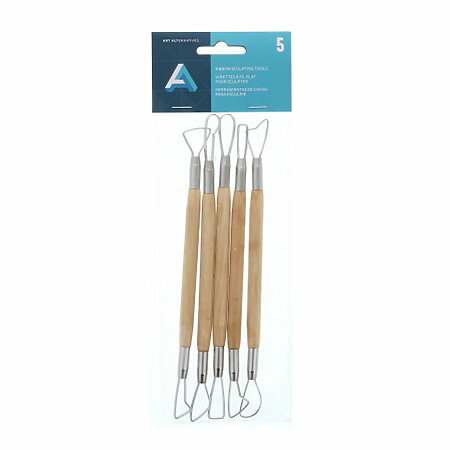 Each 6-1/2" tool features high-strength, loops of flattened stainless steel ribbon, fastened with brass ferrules to a varnished hardwood handle.